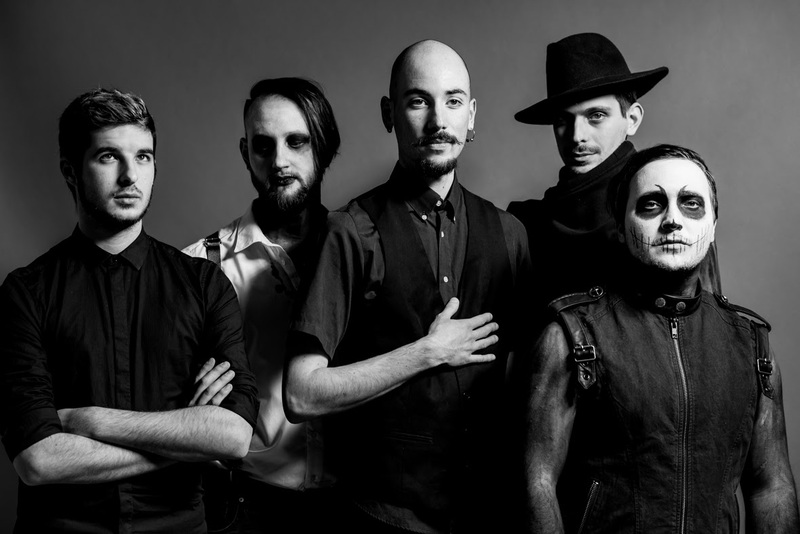 TONIGHT WE STAND - Release New Music Video "New World Disorder"
Tonight We Stand, a 5-piece metal act from Venice, Italy, has debuted a new music video for their single "New World Disorder." The brutal, hard-hitting track premiered with BraveWords and is a reinterpretation of the conspiracy theory of "New World Order." In the video, we can see a man, painted in black as a symbol of all the bad things of our world. He's seen mistreating nature and our world, which is represented by an apple. "'New World Disorder' is the title track and first video from our upcoming album," says drummer/clean vocalist Alessandro Murello. "It's a meaningful and deep video plus a powerful and catchy song with sing-a-long melodies, right in our style, even being just a taste of our full capabilities." "New World Disorder" was mixed by Betraying The Martyrs guitarist Lucas D’angelo and mastered by Ermin Hamidovic (Architects, Periphery). Tonight We Stand released their debut EP Redemption in 2016 on Sliptrick Records, which was awarded the "Best Underground Release" by Rock Hard Italy. The four song offering was produced and mixed at Solid Ground Recording Studio, and mastered by Andrea Fusini, as was their 2017 single "I Will Rise, You'll Fade Away."